Deena Sherman, Executive Director. Deena was born and raised in Cherry Hill. She attended Kellman Academy just a few years ago when it was housed at Congregation Beth El. Deena has her MSW from the University of Pennsylvania. She spent over 20 years working for the Katz JCC and is familiar to many in the community for her time as Associate Director of the JCC Camps at Medford.  A few years ago, Deena decided to take on a new responsibility that kept her connected to the South Jersey Jewish community, when she became the Director of Operations for Jewish Federation. She is thrilled to join the Kellman Brown team, which allows her to continue to serve the Jewish community where she grew and raised her children. Rachel Zivic, Principal. Rachel grew up in Chicago, attending Jewish Day School for elementary and high school. She graduated from Columbia University, with honors, majoring in religion. After, Rachel attended the Bank Street College of Education in New York City earning her Master in General and Special Education. Rachel taught in 1st, 2nd, and 6th grade prior to moving to Cherry Hill in 2007. Rachel will be starting her 11th year at Kellman Brown Academy, where she had been the Director of Curriculum and Instruction prior to becoming Principal. She received a Jewish Educators Award from the JEA in 2011, was nominated for the NJAIS Leadership Institute in 2012, and was named to the NJAIS Professional Development Committee in 2013. Rachel served on an NJAIS Accreditation committee in 2016, as well as facilitated a workshop for a consortium of Jewish Day Schools on behalf of the Greater MetroWest Jewish Federation on building a curricular Scope and Sequence. Rachel has written articles for the NJAIS Independent School Magazine, as well as South Jersey Mom. She loves KBA and looks forward to continuing the tradition of academic excellence in partnership with KBA's faculty and staff.